Play this FREE version of the mega-hit game Doodle Jump and find out for yourself what millions of players around the world already know: DOODLE JUMP IS INSANELY ADDICTIVE! "From prime-time sitcoms (BIG BANG THEORY) to late night TV (JIMMY FALLON) to a fashion accessory for pop stars (LADY GAGA), Doodle Jump is EVERYWHERE! It's a cultural craze, a hot new trend!" - CBS Evening News "possibly the best iPhone game ever created" - Touch Arcade "Doodle Jump was Angry Birds before Angry Birds" - Macrumors.com :::::::::::::::::::::::::::::::::::::::::::::::::::::::::::::: In Doodle Jump, you guide Doodle the Doodler—using some of the most subtle and accurate tilt controls in existence—on a springy journey up, up, up a sheet of graph paper, picking up jet packs, avoiding black holes, and blasting baddies with nose balls along the way. Laugh with delight as Doodle blows past other players' actual score markers scribbled in the margins. And be warned: this game is insanely addictive. :::::::::::::::::::::::::::::::::::::::::::::::::::::::::::::: FEATURES: - 11 incredible worlds - broken, moving, disappearing, moveable, and EXPLODING platforms - JET PACKs, PROPELLER HATS, ROCKETS, and springs that fly you higher - UFOs, black holes, monsters, bear traps! - jump on monsters to bring them down MARIO-style - Share scores with your friends! - Race agains friends! 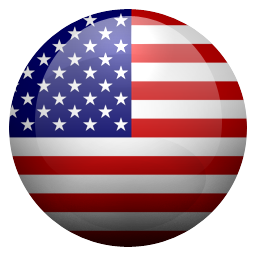 - Global leaderboards, achievements! How to play: Tilt to move left or right, tap the screen to shoot. ----------------------------- *Please don't Doodle Jump and drive, and BE WARNED: Doodle Jump is Insanely Addictive! 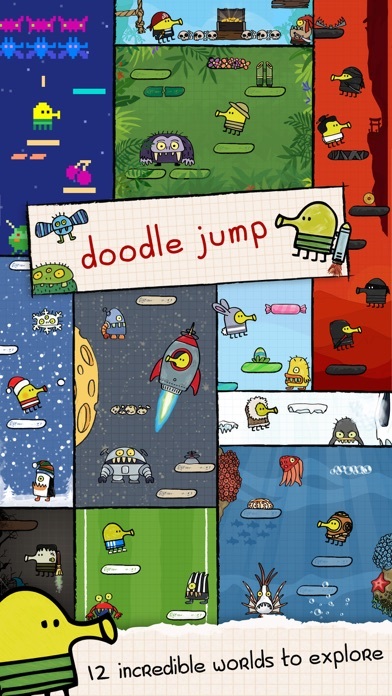 ** This is a FULL, FREE version of Doodle Jump supported with advertising. This is my favorite arcade game! When you pause the game it doesn’t let you leave or do anything like that, which is the dumbest thing I have ever heard, and when you unpause it, it makes sure that you die, it never makes it so you have a platform to land on, not to mention that the graphics look like 5th grade Asians make it as a school project. Nobody should play this stupid game. I love the game but... there are way to many adds! I mean I don’t really mind with ads but there’s an ad every single time u loose or win. AND it is the same ad the the whole time!! Just something to take into consideration and maybe put ads every 3 games or do different ads! Anyway I do love the game fun and entertaining and I love the different themes! This game is awesome. You NEED to get it. The main character is SOO adorable. I love all the characters you can buy. Although I admit they are a bit expensive. I also like that you can do multiplayer, but I do wish that instead of playing with just one other person you can play with more than one. The adds don’t bother me at all they don’t pop up ALL the time. Unlike some games, so that makes it less annoying. I also have another recommendation, I wish there was a store for space. That would be great. The game is also super addictive. I like that the missions aren’t too hard. DoodleJump is a great and simple game. You should definitely download it. I 💕 DoodleJump! 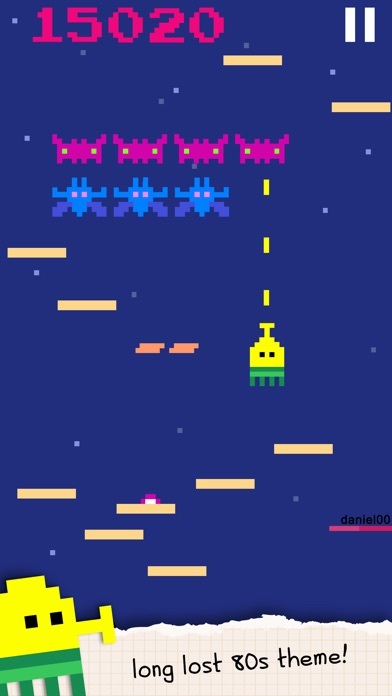 Best game in the universe!!! Half decent game, not worth paying money for, but SO MANY ADS on this version. EVERY SINGLE TIME YOU DIE it’s a ad video, then once the video is over you have to play the little mini game in the ad for a while before the X pops up. It’s faster to just close and reopen the app. Every time I perish the game freezes up and closes me out. Occasionally, the game even speeds up and there’s are clumps of platforms at the bottom. Imagine the Doodle Thing being much Heavier then it actually is. The more I play, the higher the chance of the game glitching apparently. This game has been around a long time. Fix it already. Please make new modes bc it’s so FUNNN I love this game. Super fun game! But the adds are a killer. Every time you loose you have to watch an add. Makes me not want to play. 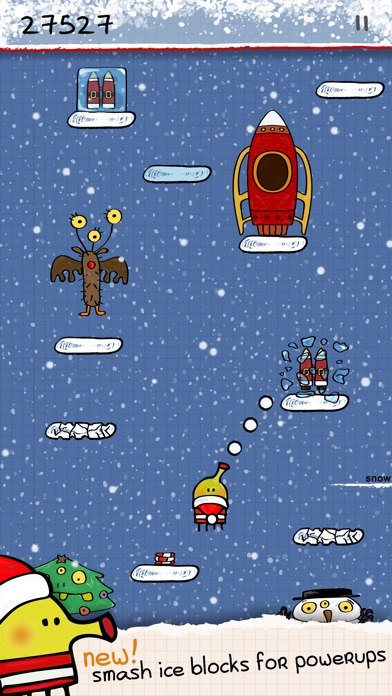 I love this game still after years I hope you guys make a new game or a bigger update that would be lit 🤟💕 recreate doodle jump! If you don’t have anything nice to say, don’t say it, dang hater users. Love the game, hate the controls. I love the game, I recently created a website with my friend and this is one of the games on it and I love it but I hate the tilt controls and I can’t find a way to change it. I’m running iOS 12.1.1 on an iPhone CS Max which is the most recent update from Apple. 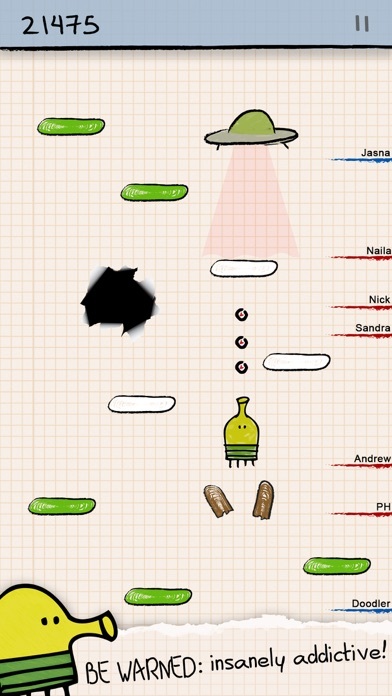 While playing doodle jump, there is serious lag which makes the game near impossible to play. Doodle Jump update to fix the lag issue? This game never gets old it’s amazing people should start playing this game. Me I am not that good but it’s still a blast playing it. I personally love this game, but every time I die the same exact “safe ad” pops up and some times it will glitch out and I can’t press the X button to get out of the ad so I have to swipe out of the whole game and lose my progress on the torments!!! So in conclusion GREAT Game but I’m sick of the “safe ad”!! I have been playing this app since I was old enough to hold a phone,(im14) and it has NEVER gotten old. And Frankly I think it never will. This game is flawless-can’t find a better one out there anywhere. I’m addicted to it and I love playing it with all the themes and little Doodle is the cutest thing ever!! I like that it comes with stickers for texting, and they are also adorable. I love all of Doodle’s outfits and how he blasts at the monsters. And the sounds are cute too, they’re not annoying at all. The only thing I would complain about is the ads because there is one after every game that I play but they’re only about 15 seconds each so it is worth it for little Doodle! I LOVE THIS GAME DEFINITELY DOWNLOAD IT!!!!! I do enjoy playing but my issue is connectivity. It takes WAY too long to connect a match (5-10 mins, if even) to the point where it’s not even worth playing anymore. I don’t ever play this game anymore solely due to that. It would be great if there were an update to fix this “bug” and I could enjoy playing once again. Thank you. It baffles me that so many are able to play the game and even give it 5 stars. It has been a year since I first posted this complaint, and nothing has changed. It’s actually taking even longer to load matches, IF they even load. Why is no one fixing this issue? Why is my complaint being dismissed? This is a great time filler. The ads were always a little annoying but always came after gameplay. Now they totally block progress forcing a death and you can continue the game if you watch a video ad. This is stupidity at its finest. I’ll give them a little time to see if they fix this broken app before I delete it. Cannot play game due to the ads. There are these little adds popping up all over the game and their quite annoying, there little games and they take you to a website, I get the game needs ads to pay but when they load can they not take me to a useless game site? This app is a scam. It will not let you delete it!!!! It's a great game but gets ruined by the constant attack of ads. Literally every time you loose you have to see an ad. 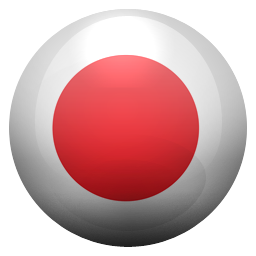 Its amazing it helps me focus and I get really frustrated but I still like it so good job on this app. The game is great, however there are ads every time you lose. I don’t know if anyone else has this problem, but for me the ads that I get are the same ad. For example, when I lose a game I get an ad for a show. The next time I lose a game the same ad plays. It is so annoying because I’ve had the same ad play for 3 days. I’m not exaggerating. As a kid, this was probably the most fun game I would play on my moms phone. There were a list of fun and classic games I would play: Doodle Jump, Geometry Dash, Cut the Rope, etc. This was back in 2010, so the game didn’t have ads. However, now the ads just ruin the point of it. Now, there’s an ad every time you die/ resurrect, and some of the ads are inappropriate. Please rethink your ads, then me, and many other players, will enjoy the game more. This game is ADDICTING, I’ve been playing it ever since it came out on the iTouch. But I wish you got Prizes for completing challenges, like Currency depending on the mode you’re playing, or a Free Head start if you complete all three. If you want a game that ignores your volume settings and plays max volume ads after every run, this is the game for you. 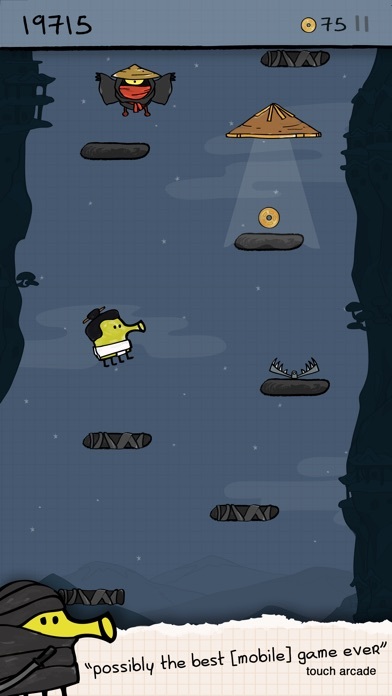 It is DoodleJump. It’s addicting. JUST DO IT! Thank you a lot for adding iPhone X support. Before the update, it felt like I was on a iPhone 8! And that feeling doesn’t feel good. It’s a good game too - don’t have much to say. Why, the game was way better before they updated it to look more like an arcade game and I don’t like it at all anymore it was better before they made it worse by changing it do not download I deleted it myself and the pictures for when your downloading is a lie now that they changed it. Please read this before buying I hate ads. They are annoying. So, could you just make there be less ads? Like, only if you want to resurrect yourself? But if you don’t want a resurrection, it doesn’t make sense that you still watch an add. Because, in other games, that’s how it is, and usually it makes me want to not resurrect. So, this game would be more fun if you did that. But I can’t buy the other kind of this because it costs money. So please, after reading this, you might regret buying this because of all the ads. An appears every time you die and that really takes away from the experience. Definitely would not recommend. Monsters and some props such as the helicopter hat should spawn more frequently so that missions such as flying into one monster with the helicopter hat are easier. This game is the best game I’ve ever had. My favorite version is space. But I agree with some of the other reviews, my little brothers play this game, and some of the ads are way to inappropriate. Regarding, I rate this game four stars because the only thing that is wrong with the app, (except for the scary ads), is that sometimes when I’m in the middle of playing, it takes me out of the app, and it isn’t just me. So producers, I would try to fix that. The game does not currently support the iPhone X screen size. Hoping to refund the game when I get the receipt. All I wanted to do was play doodle jump multiplayer with my friend aj and IT DOESNT WORK. 1 STAR. I’ve been playing this game for ages and the fun is still there. I gave it 4 stars because it hasn’t been updated for iPhone X. It has to much ads every time you die you get a ad. Can you please make and IPHONE X VERSION !!!!!!! BEST GAME IN THE UNIVERSE!!!! This is a really good game that’s very addicting, but it is overcome with way too many ads. The amount of ads take away from the game and become annoying after a while. I understand ads are needed in order for the company to make money, but this is too many. Amazing but too many ads! 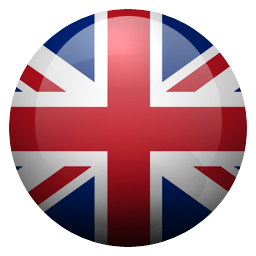 This app is one of those apps that you can never get bored of! But also... every time that you fall an ad plays. So overall great game... but I’m never going to not press the “x” in the corner of the ad! So maybe work on that and you can get 5 stars! I absolutely love this game but there are so many ads. Sometimes the ads can be very scary for kids who can read them. They are also usually about depression or things like that that kids don’t need to read about quite yet. Some of these ads give kids nightmares and such. So please, developers, don’t put in scary and depressing ads, put in ads for other games and such (that aren’t scary games)! It’s ok wish the adds would stop though. When I was younger, I had my mom’s old android phone and this was the only game one there and it was trail so it would stop your gameplay after hitting 10,000 points so I immediately got this for my iPhone and I love it! Reminds me of my childhood 😂😅 Only complaint is that the different themes are hard to select and switch between. Every time I hit “Store” it changes a different theme. This stupid unfair game has adds! All they want to do is make money off of you!!! And that's just sad. Love it so much fizzy fun !!!!!! Hi. Developers. I love this game so much. But only one question: I got this game on my old device. But if I change my phone. Where’s my date of those characters I collected? Pros: Fun Wi-Fi free Easy Cons: A video ad after EVERY game Overall, besides the ads, I think this is an awesome game and such a classic. It’s really fun and addicting. I love all the themes, BUT.....THERE R SO MANY ADS!!!! Every time I die THERES AN AD. Other than that, it’s a great game! Hi, I like this program very much and I think it is very interesting, I hope you are always good and I'll see you progress momentarily. Out of 74 I would give it a 92! Every time you die there is an ad!! I would really like to change this!!! I like playing it a lot but there are way too many ads. It’s ridiculous🙄. I absolutely LOVE this game! It is SO cool and fun! I recommend this to kids any age, my little brothers love playing it as well. The new update is so cool it gives you missions to accomplish and it is so addicting to try and finish the missions. Such a wonderful app! After a few times playing it, it would crash after I died. Not sure if it just me or more people.